It’s a very exciting week here at tiny & little, as we prepare for the official launch at the National Gallery of Victoria of Roll Around the Block for Melbourne Now. You’re invited to join the fun! Photos for the digital gallery of Roll Around the Block for Melbourne Now have started coming in on the #rollaroundtheblock hashtag and it’s been wonderful to see your little ones’ interpretation of their world and our beautiful city. Thank you to all the children who have already played along and we hope you’ll continue to roll with us. If you haven’t joined the photography fun yet, now’s the time as we head into the Melbourne Now Children’s Festival at the National Gallery of Victoria. If you’re stopping by for the first time and wondering what Roll Around the Block is, it’s a simple project to encourage mindfulness and creativity in children. It’s essentially a kid, a camera and 24 shots as little ones are asked to take 24 photographs of their ‘block’ and this summer tiny & little has collaborated with Meetoo and the NGV to bring it to the streets of Melbourne. You can find out more about Roll Around the Block and the Melbourne Now Children’s Festival collaboration here. In addition to being part of the digital gallery, you and your little ones are invited to meet Kate from Meetoo and Natalie from tiny & little – that’s me! 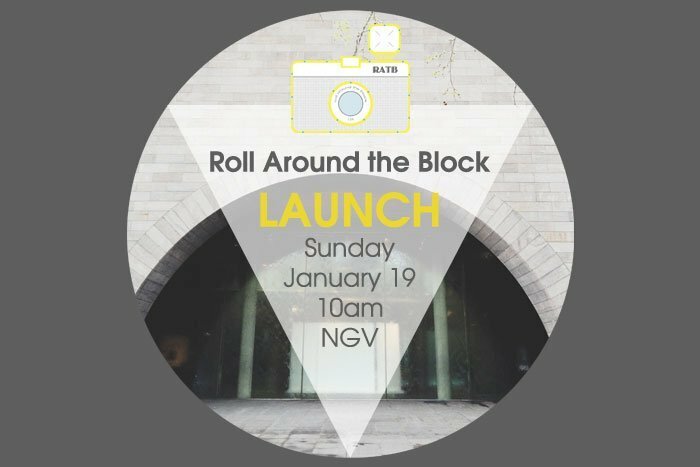 This Sunday, January 19 at 10am, we’ll be officially launching Roll Around the Block at NGV International and I’d love to see you there. You can find out details and add it easily to your calendar through the Melbourne Now website or app available for free download on Google Play and iTunes. If your child has ever dreamed of their creative work being displayed in an art gallery, this part of the Roll Around the Block is inspiration to get them clicking! Each day throughout the Children’s Festival, Kate from Meetoo and I will be selecting our favourite Roll Around the Block photos to be screened at the NGV International. To be in the running for inclusion in our gallery, you need to use the hashtag #rollaroundtheblock when uploading your photos (more details here). Photos selected for inclusion in the gallery will be screened on the big screen in Community Hall. Roll Around the Block screenings will be happening from the January 20-25 on Monday at 11am, Wednesday at 2pm, Thursday at 12.30pm, Friday at 12.30pm and Saturday at 10am. An online gallery of the selected images will be also available from 18 January on both tiny & little and Meetoo. tiny & little and Meetoo are thrilled to be hosting a creative workshop – Digital Goes Art – which will be a chance for your little ones to create with us. 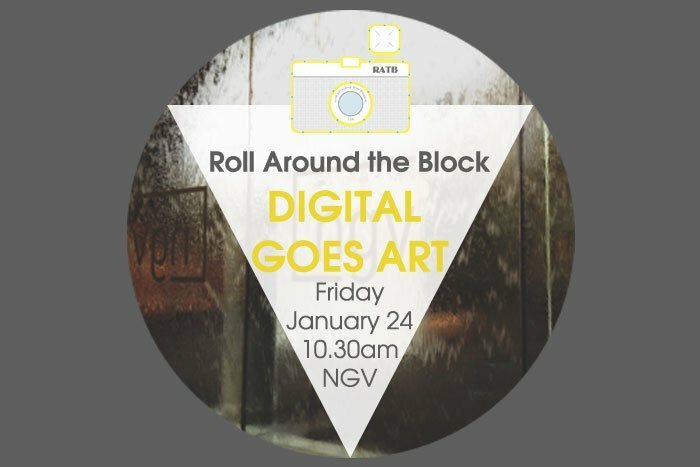 In Digital goes Art, we will use Roll Around the Block photos to create an artwork inspired by the digital photographs. Parent or carer supervision is required and best of all, it’s free! If you can’t make it on the day, be sure to subscribe to tiny & little (links in our sidebar for your favourite reader or our monthly email) and I’ll share more about Digital Goes Art in the future.